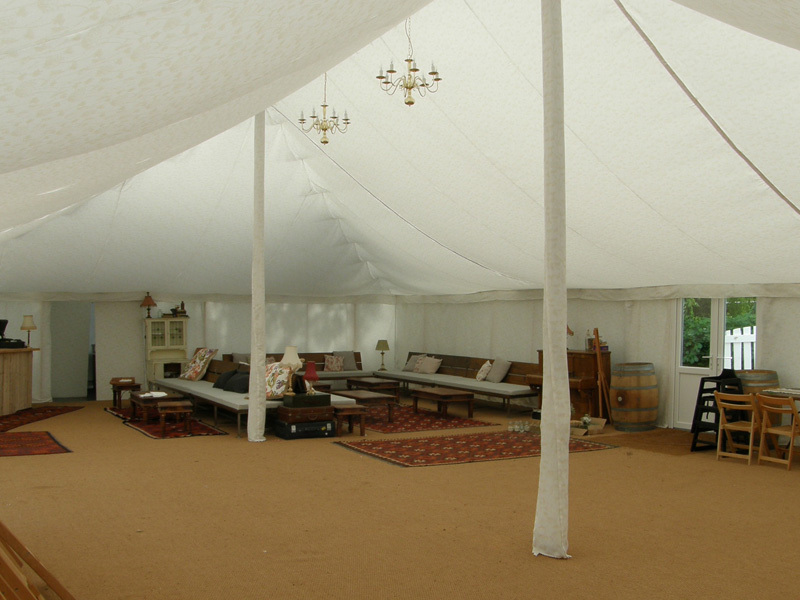 When you hire a marquee for your wedding day, it’s not just the canopy and lining you need to think about. You also have to consider the floor. You could go for the natural look, and keep it grass. But what if the weather is bad in the days before your marquee goes up. The grass won’t dry and you could be left with a muddy floor. And that doesn’t work well with wedding dress white. Plus, once the band starts playing, your dance floor is going to become a quagmire. Which is why here at Weatherill Brothers, as well as manufacturing and hiring marquees, we also provide wooden flooring to fit your needs. There’s a choice of materials to suit your design scheme and budget, from laminates, carpets and to wooden marquee flooring. Just tell us what you’re looking for and we can create a wooden flooring solution that fits the marquee and your needs. We’ve been in the business for more than 50 years, so we know a thing or two about how to make marquees look good, and we know that’s exactly what you want for the biggest day of your life.